IBM Z is powerful enough to encrypt everything. 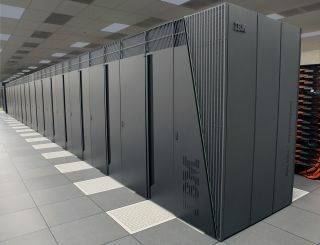 IBM is looking to tackle the problem of what hackers can do with the information they acquire from data breaches by encrypting everything stored on its new mainframes. The company's Z mainframe system is powerful enough to automatically encrypt all of the data that passes through it. IBM Z differs from traditional mainframes that only encrypt small slices of information due to their lack of power. As the number of data breaches has risen significantly, sensitive company data is now more likely to end up in the hands of hackers. IBM Z also has the ability to 'self-destruct' encryption keys if any tampering is detected. This could be particularly useful for businesses that rely on the company to handle their online payments. IBM's transaction engine is currently responsible for handling 87 per cent of credit card payments. While hackers would still be able to get a hold of data following a breach, they would be unable to access it as IBM Z would have previously encrypted it.